Distressed with an air of industrial history, this item is a beautiful tribute to the past while maintaining a distinctly contemporary feel. Apothecary hardware add to the character of these pieces, while sturdy construction, clean lines, and ample storage make items from this collection a wonderful add to any home. This collection features media, occasional, and casual dining pieces. The Cannon Valley 70" Media Unit by Jofran at HomeWorld Furniture in the Hawaii, Oahu, Hilo, Kona, Maui area. Product availability may vary. Contact us for the most current availability on this product. 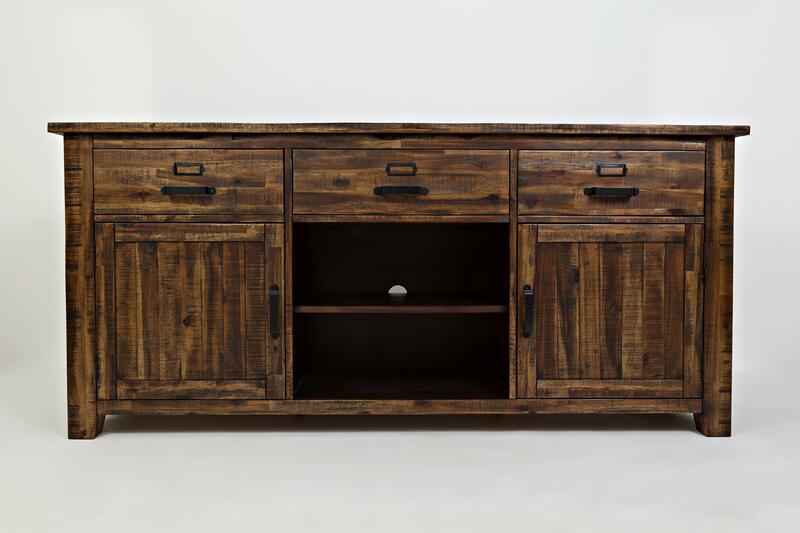 Browse other items in the Cannon Valley collection from HomeWorld Furniture in the Hawaii, Oahu, Hilo, Kona, Maui area.